Today began bright-eyed and bushy-tailed, and ready to talk radio at the panel on Radical Radio. I was especially excited for this discussion, not only because I am a self-professed radio nerd, but one of the speakers was a college radio alumni of mine, Anna Friz, from back in the day at CITR 101.9fm in Vancouver. Along with co-presenter Jeff Kolar, they discussed the cross-disciplinary aspects of radio, as art, communications, and current transmission practice, highlighting the beauty found in the instability and somewhat randomness of the signal. My afternoon consisted of another trip to the American Tobacco campus, the site of many things Moog, including the Modular Marketplace and Moog Pop Up Shop. 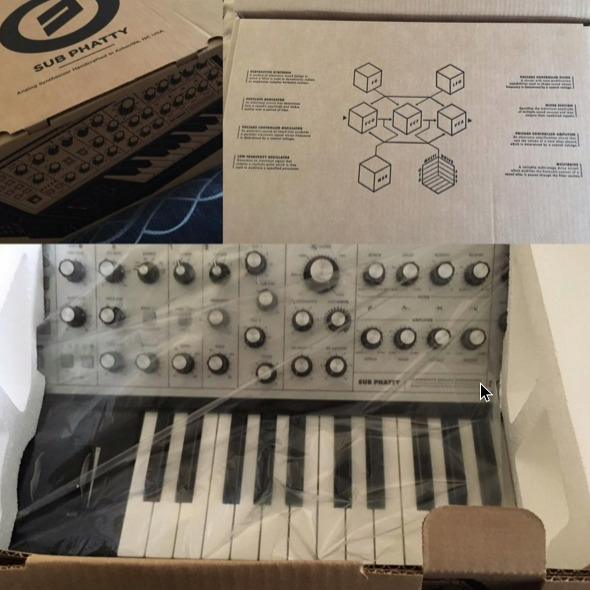 The only comment I will make about this visit is that I may or may not have spent some money there, and I may or may not be figuring out how to bring something the shape of a Moog Sub Phatty synthesizer home. Okay then, now that is out of the way, moving right along, let's talk music! My evening started out meditatively, watching sets by Alessandro Cortini and the lovely Grouper, at the Carolina Theatre. I thought this was a great pairing to be back to back at a festival. Their sets, and visuals, were very complimentary. The only annoying part of this night was the drunk Gary Numan fans sitting all around me, chatting loudly, and gesturing wildly with their arms. I was tempted to stay and watch Gary Numan, just to seek my revenge on them, but alas, I did not. I knew they wouldn't realize my efforts, but just accept them as drunk-speak. I feared they might accept me into their brethren of rude concert-goers. Dance music needs riot grrrls. Dance music needs Patti Smith. Dance music needs some discomfort with its euphoria. Dance music needs salt in its wounds. Dance music needs women over the age of 40. Dance needs breastfeeding DJs trying to get their kids to sleep before they have to play. Dance music needs writers and critics and academics and historians. Dance music needs poor people and people who don't have the right shoes to get into the club. Dance music needs shirts without collars. Dance music needs people that had to come before midnight because they couldn't afford full admission. Dance music does not need more of the status quo. Needless to say, it was good way to end my evening. Until tomorrow, Moogfest! Julie Matson is covering the 2016 edition of Moogfest happening in Durham, North Carolina, and also hosts Beyond The Black Rainbow where she puts back the experimental back into experimental music every Monday at 4pm ET. Read her conversation with Moogfest festival director Marisa Brickman, and keep it locked to CJLO On Air and online to hear more of Julie's tales from Durham. Click here to check out highlights from Day One of the festival.